Don’t be surprised to see a slew of television ads touting a measure to legalize recreational marijuana use during the weeks leading up to the general election in November. 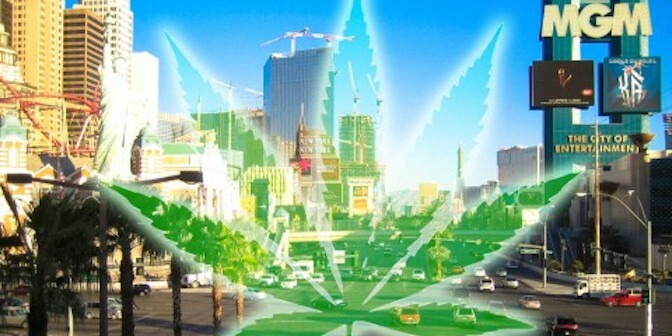 A local political action committee, the Coalition to Regulate Marijuana Like Alcohol, reserved more than $800,000 worth of advertising time slots across the major news stations in Las Vegas, according to recent Federal Communications Commission filings. The ads are scheduled to start in early October and run until Election Day on Nov. 8 when Nevadans will vote on Question 2, which will decide whether to legalize the recreational use of marijuana for adults in the state. The content of the ads hasn’t been finalized, according to coalition spokesman Joe Brezny. With three months until Election Day, proponents of legalization indicate momentum is on their side. The group raised $285,000 this year as of the last reporting deadline on June 11. The group raised $125,000 for the effort in 2015. Most of the funding has come from Nevada marijuana companies like The Grove Wellness Center, The Source, Silver State Relief and the Nevada Dispensary Association. Other big contributions have come from individuals such as casino developer Gary Primm and his son Roger Primm. Each has given $25,000 to the group this year. Last month, a KTNV-TV Channel 13/Rasmussen Reports poll of 750 likely Nevada voters found that 50 percent supported the legalization effort, 41 percent opposed, and 9 percent were undecided. Brezny said both the funding and the poll signal a shift in the public’s view on marijuana. “Marijuana prohibition has been a failure and people see that there is a better way to go about this,” Brezny said. Groups formed to oppose the bill, such as the Coalition Against Legalizing Marijuana, have not reported any contributions this year. The next reporting deadline for local PACs is Oct. 18. A political nonprofit organization, Nevadans for Responsible Drug Policy, is also in the mix opposing Question 2, but is not required to disclose its donors and has aired no ads. Assemblyman Pat Hickey, R-Reno, co-chairman of Nevadans for Responsible Drug Policy, said Friday that he also found the poll numbers encouraging. According to Hickey, the nonprofit group conducted its own poll in April that showed that 57 percent of voters supported the measure. Seeing that number drop to 50 percent in the Rasmussen poll indicates that Nevadans are becoming increasingly worried about the measure, Hickey added. Hickey expects to see several business sectors, especially Nevada’s gaming industry, begin airing their own opposition ads to the measure.